A Russian daily newspaper has named the alleged killer of Russian journalist Anna Politkovskaya as 30-year old Chechen Rustam Makhmudov. Komsomolskaya Pravda cites unnamed sources and the information has not been officially confirmed. Prosecutors say they know who killed Politkovskaya, but didn't release the name in the interest of the investigation. Police are now searching for him. Makhmudov's three brothers have already been detained in connection with the murder. Anna Politkovskaya was shot dead in the stairwell of her apartment building in October 2006. The murder was widely condemned, both in Russia and abroad. Russian President and the Prosecutor General said the killing could have been organised to discredit the country. The journalist received international acclaim for her reports on human rights violations and abuse in the Russian southern republic of Chechnya. 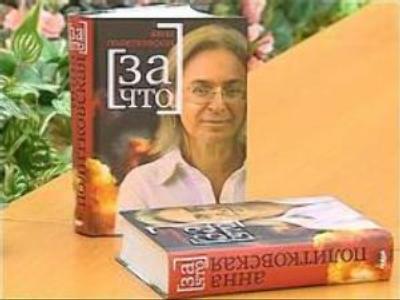 In September 2007 Politkovskaya was posthumously given the Press Freedom Award. She was also picked by the U.S. National Endowment for Democracy for promoting press freedom and independent media in Russia.